You can ship your timepiece to us from anywhere across the UK using our Royal Mail Special Delivery FREEPOST service. 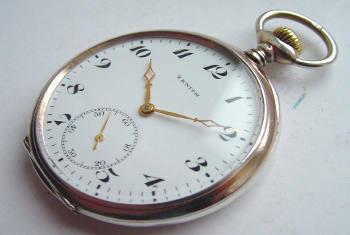 Your pocket watch is insured for up to £20,000 throughout its postal journey. That’s from the moment the package leaves your hand to when it is posted back to you. We will discuss any work required and the costs before we carry out the repairs. We understand the source of pride a fusee pocket watch brings, which is why our Master Watchmaker is dedicated to their repair and restoration. We are experts in preserving original fusee movements and are proud to have brought many fusee pocket watches back to life. 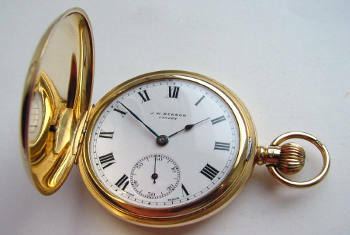 Our Master Watchmaker has a great depth of knowledge about verge pocket watch repair and restoration. 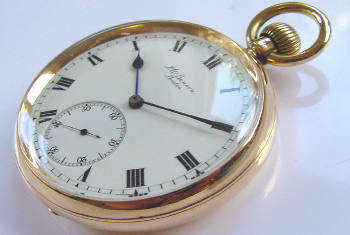 We understand that verge pocket watches require dedicated maintenance and regular small adjustments to keep perfect time, and we love nothing more than to give them back to our customers in perfect condition. At W.E. 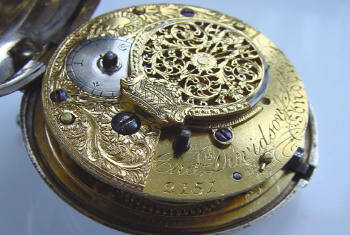 Clark we’ve made it our specialty to restore and repair repeater movement watches. Our Master Watchmaker understands the delicate workings of these fine watches, and is dedicated to the preservation of the beautiful sounding repeating mechanism. We can change the pace of your repeater and our refurbishment service will ensure the integrity of your timepiece is maintained throughout. We are incredibly proud of our military pocket watch repair and restoration service, because preserving historic timepieces really matters to us. If you want your family heirloom back in pristine condition, our talented Master Watchmaker is dedicated to bringing military pocket watches back to life. 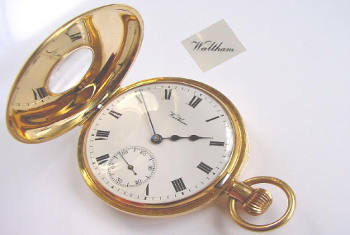 Waltham pocket watch repair and restoration is one of our specialities. Our Master Watchmaker is an expert in the precision engineering of these beautiful timepieces and loves nothing more than to bring your antique Waltham pocket watch back to life. 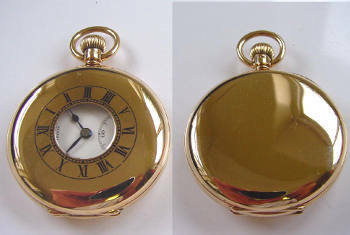 Our goal is always to return your repaired Waltham pocket watch in its best possible condition. 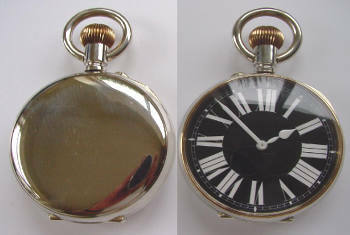 Railroad pocket watches are high grade timepieces that deserve specialist servicing. 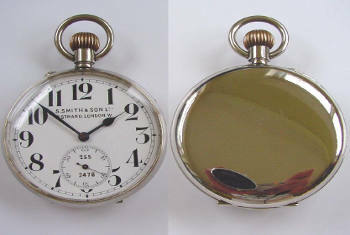 We have the expertise to ensure your railroad pocket watch maintains its prestigious timekeeping. Whatever the make of your railroad pocket watch, our Master Watchmaker has the specialist expertise to preserve the magnificence of your collector’s item. We are dedicated to the preservation of Benson pocket watches, being amongst the oldest pocket watches made by a British watchmaker. 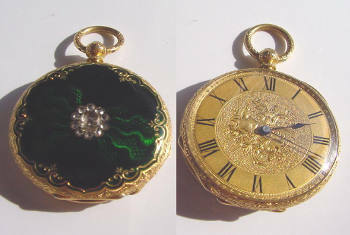 We are always delighted to receive an antique Benson pocket watch into our workshop. Our Master Watchmaker loves to turn his expert hand to the preservation of a little piece of beautiful British engineering. W.E. Clark’s Master Watchmaker is a leading expert in the delicate restoration of Hunter pocket watches. Dedicated to the preservation of ornately carved casings, our Master Watchmaker is also highly experienced in replacing and repairing movement parts, whether is it a Half Hunter or Full Hunter pocket watch, we can get it looking beautiful and working perfectly again. 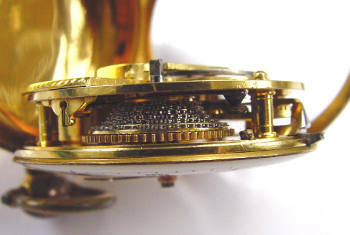 With open face pocket watches subject to more than their fair share of wear and tear, we see many of these pocket watches in our pocket watch restoration workshop. Our Master Watchmaker is a specialist in reviving the delicate casings and intricate movements of any antique open face pocket watch. It’s always a privilege for us to work on any Swiss pocket watch. They are renowned the world over as timepieces of optimum quality. 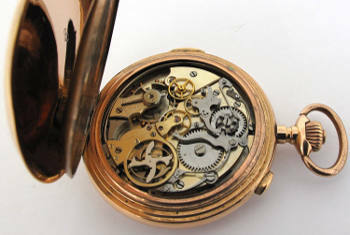 When it comes to repairing Swiss pocket watches we offer a service our competitors simply cannot match. Our Master Watchmaker is an expert at disassembling, repairing and restoring any antique Swiss pocket watch to bring it back to its same original standard. Our Master Watchmaker is a talented and exceptionally gifted watchmaker offering expertise in the repair, restoration and refurbishment of any vintage Tudor watch. 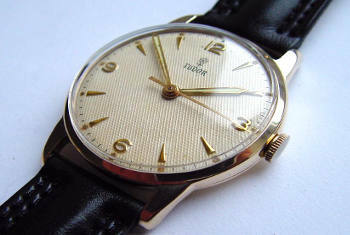 Whatever the state of your vintage Tudor watch, do not hesitate to get it looked at by our Master Watchmaker.